The closing date for this competition is Monday 28th of August 2018. You must tag enter your posts into our "Competition Facebook Posts"
You may enter as many images as you wish to the competition but please note that all images are subject to moderation. 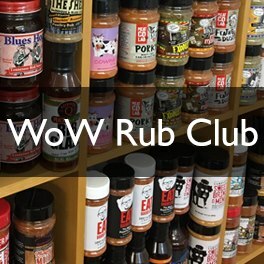 WOWBBQ ("the Promoter") reserve the right to replace the prize with an alternative product or colour, of equal, lower or higher value, if necessary and is at the Promoter's sole discretion. Prize draws and competitions are only open to United Kingdom and Ireland residents aged 18 (eighteen) years and over and excludes any person who is a director, member, partner, employee or agent of, or consultant to the Promoter or any other person who directly or indirectly controls or is controlled by the Promoter or who is directly connected with the administration of these online competitions and promotions. Prize draws and competitions excludes any person who is a director, member, partner, employee or agent of, or consultant to the Weber brand or any other person who directly or indirectly affiliated with any business who retails Weber branded products. The Winner will be notified within 3 (three) weeks of the closing date. Following such notification, the winner will need to provide a UK or Irish address for delivery. If the Promoter cannot: (i) contact the winner within a reasonable period of time (to be established at the Promoter's sole discretion); or (ii) the winner does not wish to collect their prize, the Promoter reserves the right to re-draw a winner of the Promotion and thereafter until a winner on these terms is found. All prizes are non-refundable and non-transferrable. No cash alternative will be offered for any prizes. By entering any of the Promoter's online prize draws and competitions, the Promoter may invite that your name, details and photograph be published online or in a future newsletter or marketing material or any online media relating to the Promoter's prize draws and competitions. By entering any of the Promoter's online prize draws and competitions, you agree to be bound by these terms and conditions. This promotion is in no way sponsored, endorsed or administered by, or associated with, Facebook. You are providing your information to WOWBBQ.co.uk and not to Facebook. Images and/or entrants considered to be fake and/or not in keeping with the nature of the competition may be taken down. The competition below has now ended, details of the winner will be announced on Facebook. Stay tuned for more chances to win Weber BBQs & more. Enter our latest competition and be in with a chance of winning a Limited Edition Weber Master-Touch® GBS® in Classic Weber Red (worth £299). 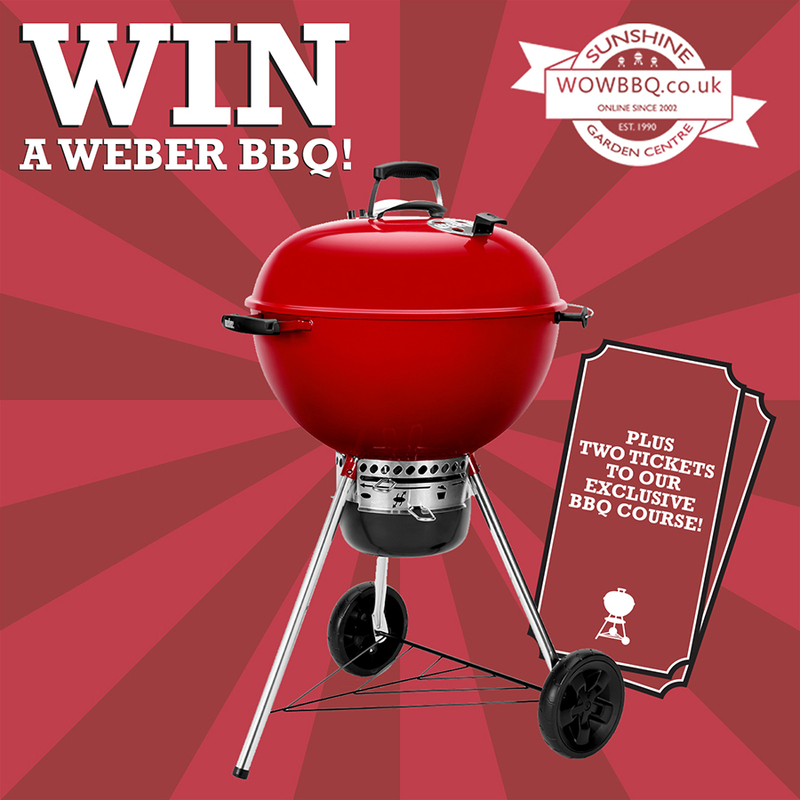 PLUS two tickets, one for you and one for a friend to attend an Official Weber Certified BBQ Course in London. Just what you need to kick off this summer's grilling season in style! The number of likes, we'll look at comments too. You must correclty tag @wowbbqweber or your entry will not be counted. The winner will be invited to collect their new Weber Master Touch BBQ in person from our stunning Weber World Store in London when attending the Weber BBQ course (as part of the prize). The closing date for this competition is Friday the 2nd of March 2018. Prize draws and competitions are only open to United Kingdom residents aged 18 (eighteen) years and over and excludes any person who is a director, member, partner, employee or agent of, or consultant to the Promoter or any other person who directly or indirectly controls or is controlled by the Promoter or who is directly connected with the administration of these online competitions and promotions. The Winner will be notified within 3 (three) weeks of the closing date. Following such notification, the winner will be required to collect the prize. Facebook likes from accounts deemed to be fake/not genuine will not be counted and you may forfeit your competition entry.